Knuckles is a peach coloured pig with black button eyes and a light brown snout and light brown trotters. 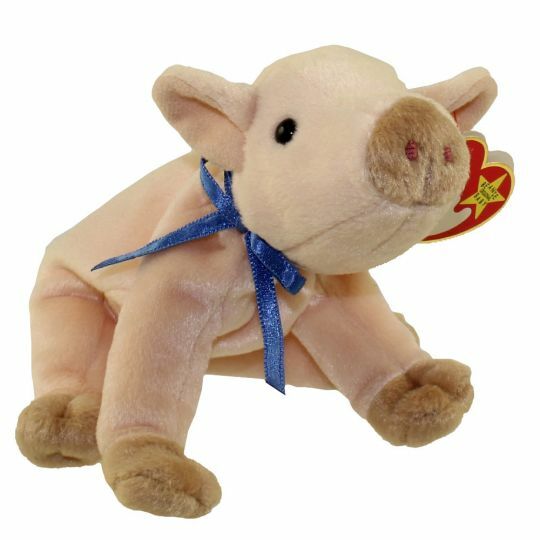 She has a blue, satin ribbon tied around her neck and a tiny pig tail. No one will eat it, can you guess why? Her favorite recipe is for mud pie! Knuckles was released on 14th April 1999. Her Birthday is on 25th March 1999. Knuckles was also released as a Beanie Buddy. She was retired on 23rd December 1999.